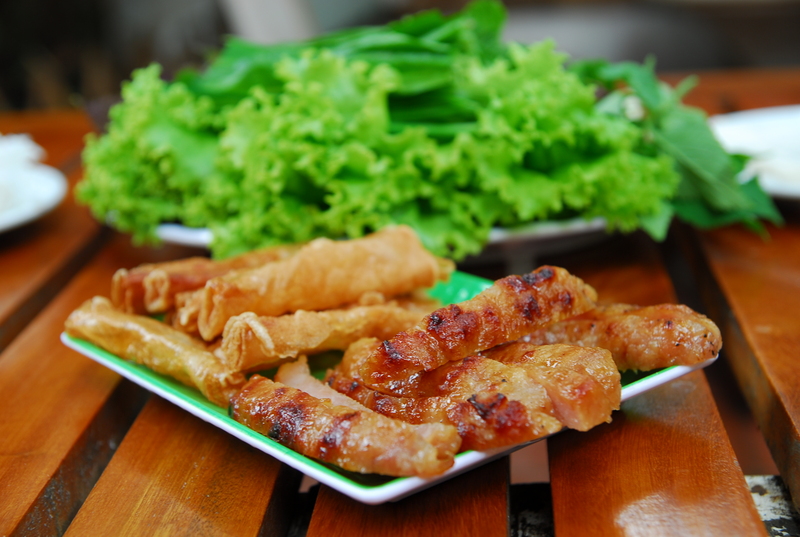 Another specialty dish in Nha Trang that blew us away is the Nem Nuong (Special Grilled Minced Pork). We went to a restaurant called Dang Van Quyen, which specialises in Nem Nuong. The freshly grilled pork is served with a piece of crispy rice paper roll, a piece of sour mango, a variety of fresh herbs and greens, all wrapped in rice paper roll and dipping into a secret homemade sauce. Mmmmmmmm….yummmmmo…definitely one of the best Vietnamese dishes I’ve had. Great combination of textures and flavours…this dish has it all! 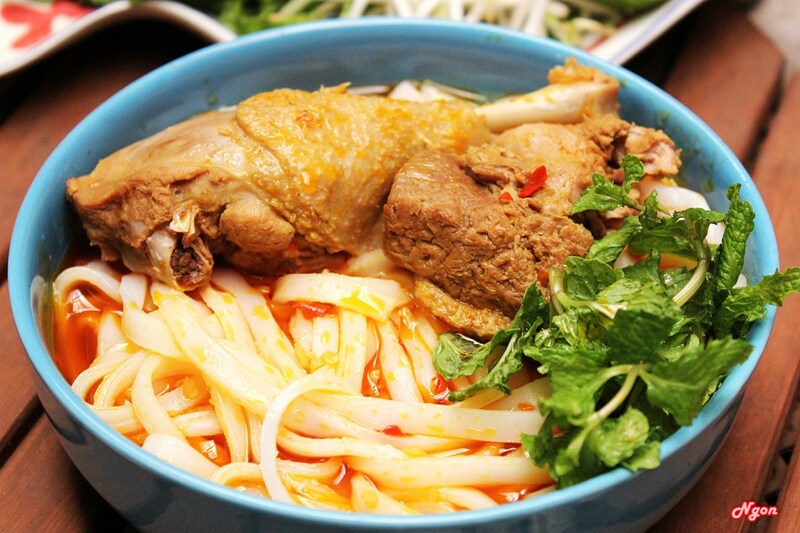 One other special dish in Nha Trang, or more particular to the central coast of Vietnam travel, is Mi Quang. A special noodle soup dish that I have not eaten before in Australia. The soup was full of wonderful and new flavour, the yellow noodles (either rice or egg, I couldn’t quite tell) was just right, fresh herbs and greens and a variety of meats and other things inside. A truly unique and delicious meal, one I will remember and miss, along with all the other dishes I had above. And to think, this was only the beginning of my food adventures in Nha Trang. We spent many days and nights scouring the streets of Nha Trang in search of many wondering and delicious foods from the street Vendors, mainly in search of of the sweet homemade desserts which are cooked right on the spot for you, it can’t get better then that. This is a sugar cane drink served in a small plastic bag and a straw…. Of course we wouldn’t have a clue of where to go and what to eat if it wasn’t for the help of my boyfriends cousin, Tinh, who skipped school many days to take us around to find the most delicious things to eat and drink, and to see Nha Trang through the eyes of a local, which is truly beautiful. Thanks Tinh! It came too soon, but it was time to leave Nha Trang. It was sad to leave but it was time for us head south of Vietnam, to a small town called Soc Trang, my home town. Where my food adventures will continue. Good Bye Nha Trang, you will be missed….